The first volume of a limited two-volume set collecting the Basil Copper Solar Pons adventures. Release date is February 2017 from PS Publishing. THE DOSSIER OF SOLAR PONS; Explanation by Dr. Lyndon Parker, The Adventure of the Perplexed Photographer, The Sealed Spiral Mystery, The Adventure of the Six Gold Doubloons, The Adventure of the Ipi Idol, The Adventure of Buffington Old Grange, The Adventure of the Hammer of Hate. 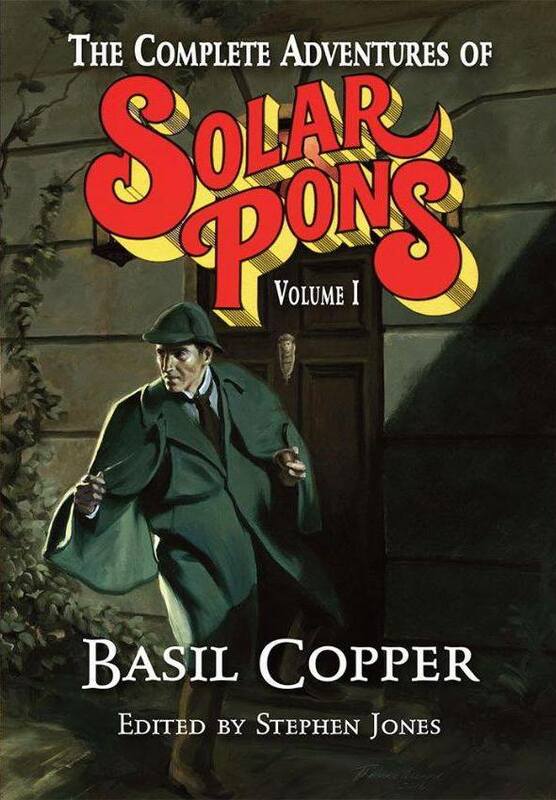 THE FURTHER ADVENTURES OF SOLAR PONS; The Adventure of the Shaft of Death, The Adventure of the Baffled Baron, The Adventure of the Surrey Sadist, The Adventure of the Missing Student. THE SECRET FILES OF SOLAR PONS; The Adventure of the Crawling Horror, The Adventure of the Anguished Actor, The Adventure of the Ignored Idols, The Adventure of the Horrified Heiress. SOME UNCOLLECTED CASES OF SOLAR PONS; The Adventure of the Haunted Rectory, The Adventure of the Singular Sandwich, Murder at the Zoo, The Adventure of the Frightened Governess.